Do you like to be different than other people.Do you like to have your own style. This is the best DIY tutorial for you. 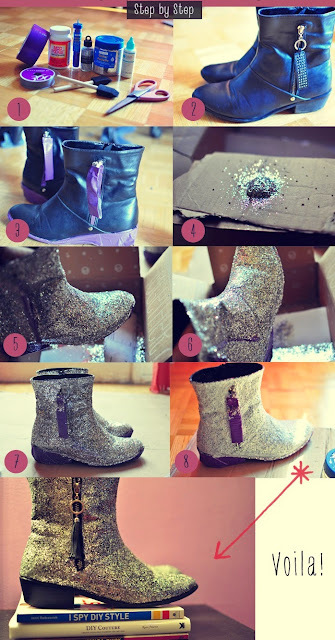 Just follow the steps and create an amazing Glitter Booties. Have fun.. it can be your new business idea for handmade shoes!